As a mom I know baby products off the back of my hand and what is THE BEST out there.. And even though new and advanced baby products come out every year you can certainly count on me to tell you the Top 5 strollers of the year!! If your interested in Advertising your baby item please contact me. I did use it the day I got it and WOW!! 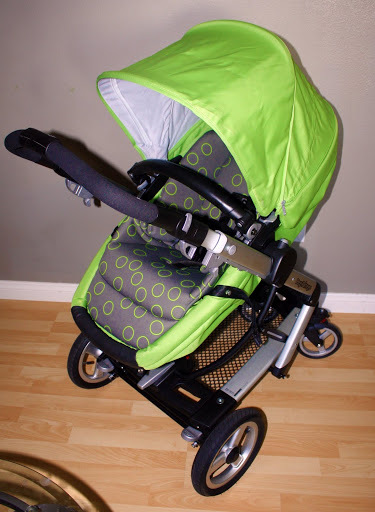 It changes from a seat to a bassinett in 4 easy steps!! 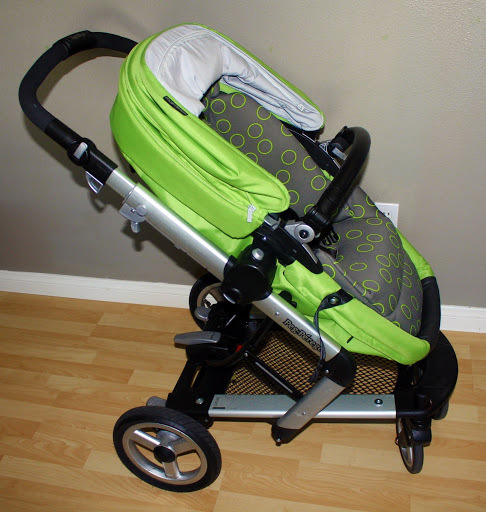 The bugaboo is really nice but to change from a seat to carriage you have to change pieces and lug around either an extra seat or a bassinett and when you fold it you have to take off the seat or bassinett… not my kind of lugging around.. with the Peg Perego Skate it folds up with the seat on!! And yes there is room on the back for a toddler to stand! 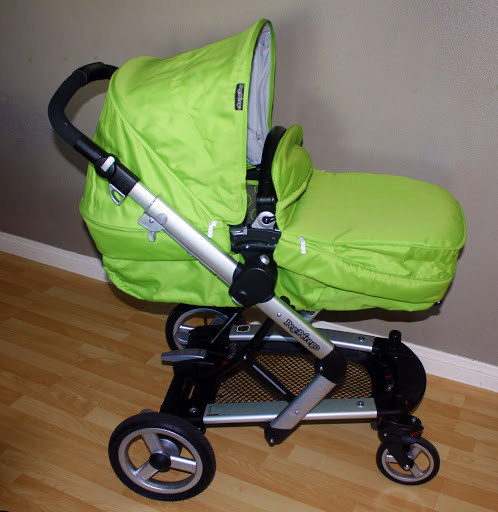 I have to say I have owned allot of strollers, maybe because I like the style and modernness, or the many options in the strollers made and for sure SIMPLICITY is a big must!! sitting up postition! The one Caden loves! This is the seat convertes into the bassinet.. let loose the tabs on the foot rest and the top of the head rest and in converts into a bed!! Then slap on that foot muff to keep out the sun or cold!! You can also have the bassinett facing out.. The black handle over the basinett is actually a carring handle so you can switch around the basinett easier! For caden considering he likes to face out its easier when hes sleeping to leave the bassinett out so when he wakes up all I have to do is convert back to the seat in 4 easy steps with out moving caden!! 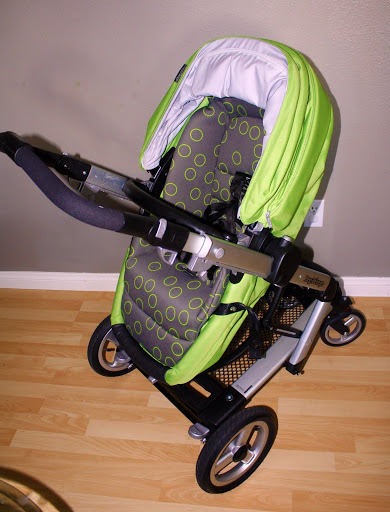 So if your having a baby I reccomend this stroller!! 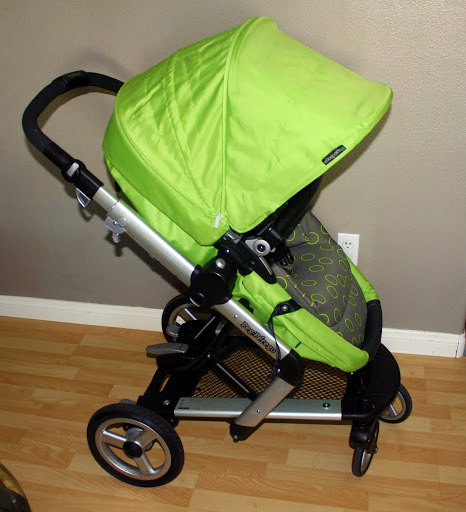 I just love testing out the best and helping moms or new moms pick the right stroller the FIRST time! 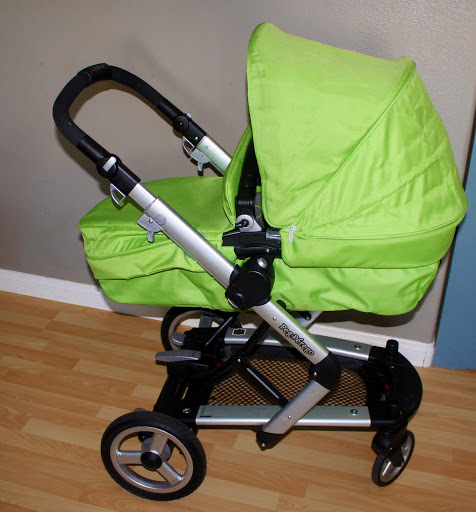 Here are some pictures below I took of the different options.. Oh and if you do buy this stroller and dont understand how to use it ( because they show you in picture which does not make sense) please feel free to contact me with any questions on how to use your Peg Perego Skate..
A HAPPY BABY IS A HAPPY MOM!